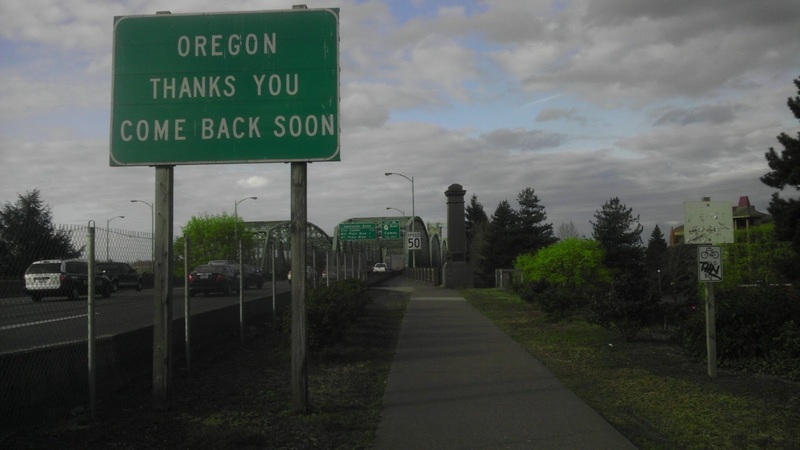 Last week I had three meetings--two in Portland, Oregon, and one in Vancouver, Washington. 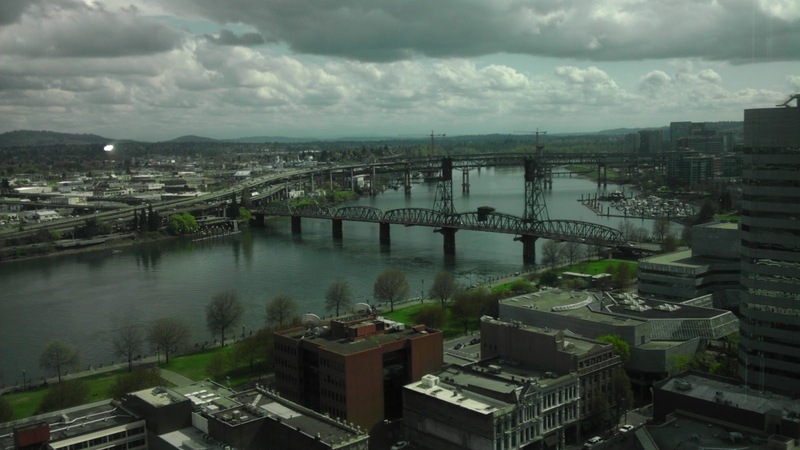 The first meeting was with the United States Army Corps of Engineers, Portland District, and the Center for Natural Lands Management. 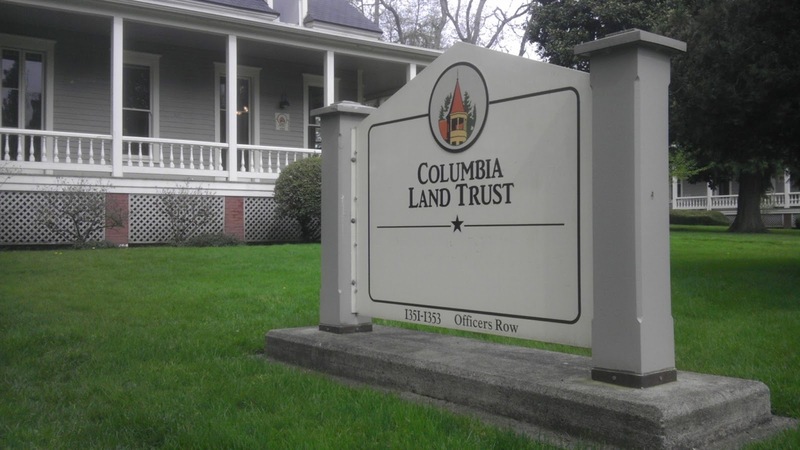 The second was a presentation to the Conservation Committee of the Columbia Land Trust (and several CLT board members) about progress to date on the revision of CLT's conservation plan. 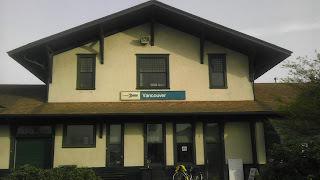 The third meeting, the next day, was in Vancouver, with Clark County and CLT. Miraculously, all three meetings were scheduled within 48 hours of each other, and since they took place within ~10 miles of each other, I decided to do the whole thing without the use of a car. On the morning of the first two meetings, I left my house in the Fremont/Ballard neighborhood of Seattle, rode downtown, and caught the 7:30 am train. Amtrak has done a great job adding bicycle racks to their baggage cars in the PNW, and the logistics were really easy. After the train departed King Street Station, I fired up my laptop and used the power outlet and on-board WiFi to get a bunch of work done on the 3 hour trip to Portland. We arrived 1/2 hour early (!) and I was able to grab lunch before my meeting with the USACE. The USACE mission is to: "Provide vital public engineering services in peace and war to strengthen our Nation's security, energize the economy, and reduce risks from disasters." Their 'vision' is: "A GREAT engineering force of highly disciplined people working with our partners through disciplined thought and action to deliver innovative and sustainable solutions to the Nation's engineering challenges." I met with them because I am working for the Center for Natural Lands Management on a continuing study of the habitat of the Streaked Horned Lark. The STHL is an endangered species that nests on islands in the Columbia River. 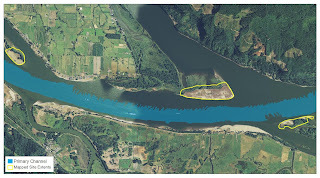 Historically, these islands were replenished by seasonal floods, but since the Columbia River and many of its tributaries have been dammed for hydropower, the Larks' current habitat is created by the USACE depositing dredge spoils on islands within the river channel. The Corps is responsible for maintaining navigable waters throughout the US, and in the Columbia, that means ensuring passage for cargo ships entering the river from the Pacific. 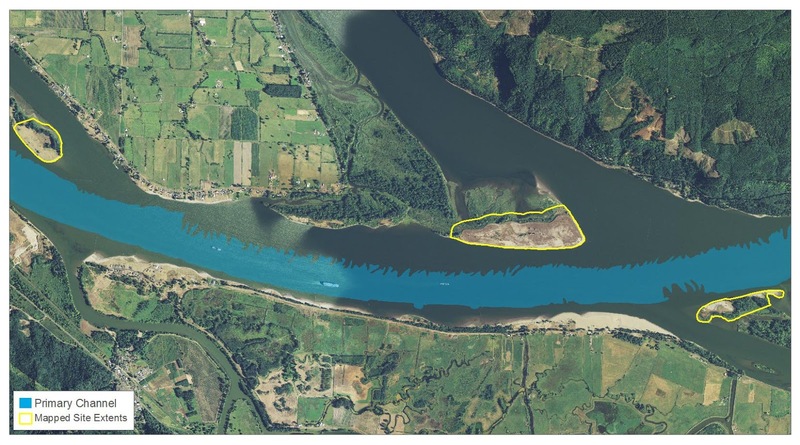 Since the Columbia is still a pretty dynamic river, the Corps has to dredge every summer to maintain the channel, and the sand has to go somewhere. Turns out, Larks really like a mix of bare sand and low vegetation. The purpose of our meeting was to figure out how the Corps and all the other main players in the Columbia can work together to maintain navigability and do so in a way that creates and enhances suitable habitat for the Lark. It was a very positive meeting, and the Corps is very interested in collaborating with CNLM to help maintain and recover the Lark. The presentation I gave to the CLT conservation committee and board was an update on the work we've done thus far to enhance and revise the conservation plan I originally worked on in 2006/2007. The primary objective for this 'conservation plan 2.0' is to help CLT focus on parcel-level priorities. This has actually become much easier over the past several years, as the resolution of data has improved and the variety and applicability of data has increased. 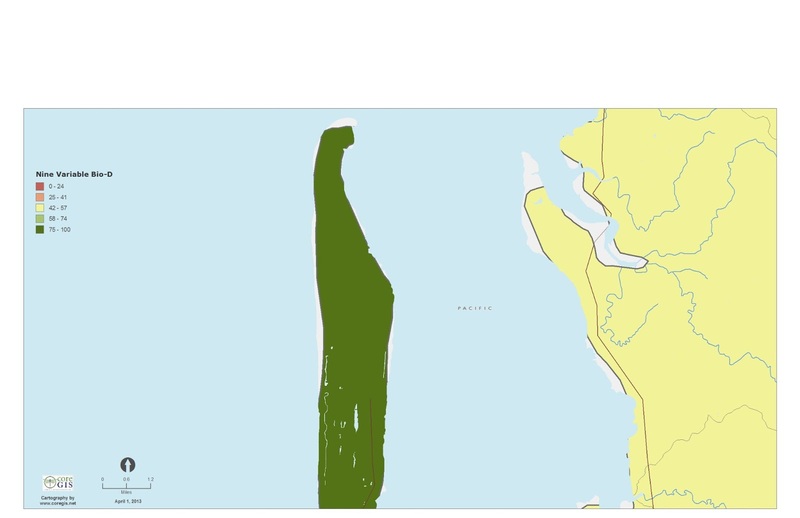 For example, in the first round of conservation planning, we had to aggregate predicted species distribution data from the National GAP project to 5th-field watersheds because Washington and Oregon used different methodologies to derive the landcover that forms the underlying basis for the predicted distributions. In the time since the first round was completed, the project was completely re-done (conveniently called 'ReGAP') using the same methodology and data for the entire PNW. 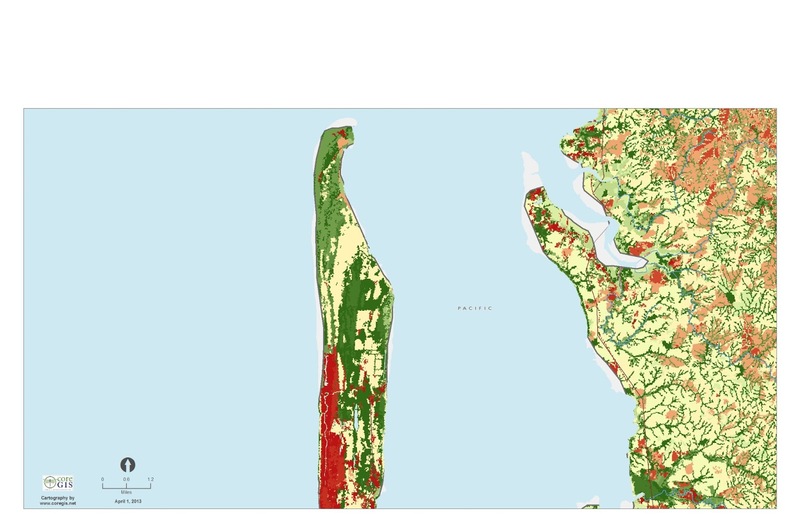 This greatly increased the resolution of the data we are using to help the land trust prioritize their conservation activities. 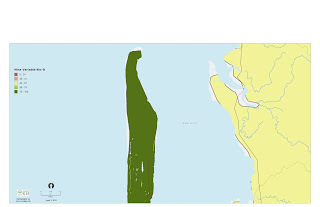 The northern 1/2 of the Long Beach Peninsula in Washington. 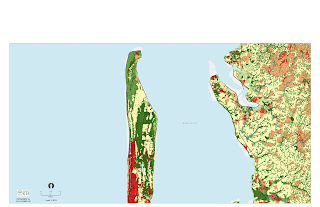 In the first round of conservation planning, our modeling with GAP data indicated the peninsula had important habitat. The presentation seemed to go well and we received lots of constructive feedback. 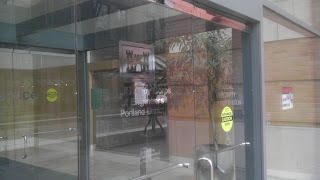 After the conclusion of the CLT presentation, I rode from downtown Portland to downtown Vancouver. The bicycle infrastructure in Portland is amazing--bike lanes (some of them separated) and signage are everywhere. Unfortunately, the I-5 bridge across the Columbia is every bit as sketchy as the Ballard Bridge, but I arrived in downtown Vancouver safely. 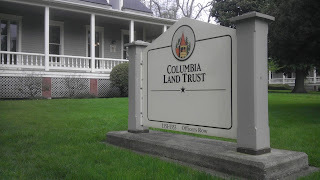 The final meeting was with Clark County and CLT at CLT's offices in Vancouver. We are working for Clark County to help them update their conservation areas acquisition plan, which is focused on habitat, forestry, and agriculture. Similarly to the CLT conservation plan, this presentation was an update on progress made to-date. This was also a constructive meeting, and at its conclusion I felt like we are on the right track and will be able to deliver a useful set of priorities to help the County focus its limited resources to conserve important natural resources. After the meeting wrapped up, I grabbed a burrito on the way to the train station, hopped the train, had a very relaxing ride to Seattle, and made it home in time for bed. Waiting for the ride home. My bike is at the bottom of the picture. I will definitely do this again next time the stars align and I have a bunch of meetings down south.